U.S. Customs and Border Protection officials are extending the public comment period on the proposed 33-mile wall project in Hidalgo and Starr Counties that was funded this spring, according to news release issued late Friday afternoon. 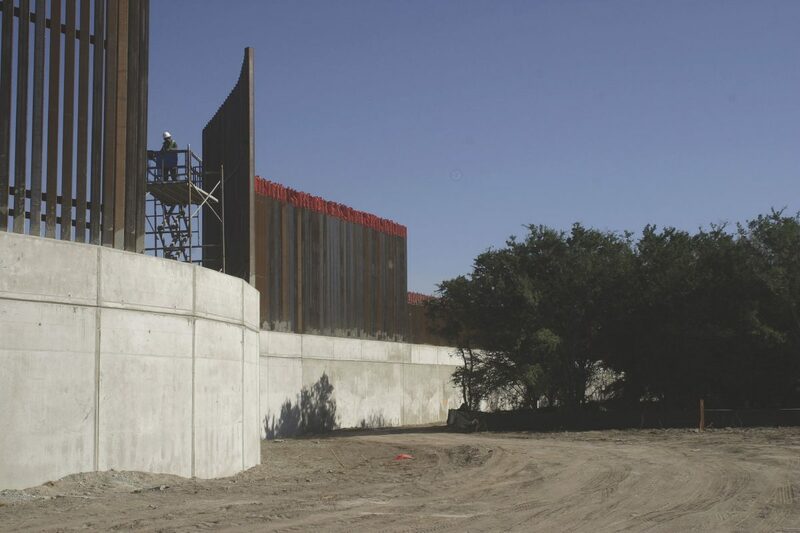 “(CBP) is seeking public input on the environmental impacts of two proposed projects: (1) design and construction of approximately 25 miles of levee border wall system in Hidalgo County, Texas; and (2) design and construction of approximately 8 miles of border wall system in Starr County, Texas with an option for an additional 4 miles,” the release states. The area of proposed border wall construction is slated to cut through national wildlife refuges, Bentsen-Rio Grande Valley State Park, the city of Roma in Starr County, and La Lomita National Historic Districts, as well as dozens of private properties, projects already funded in the Omnibus bill passed in March. CBP officials said they are seeking information and “data” on the potential impact to the “environment, culture, commerce and the quality of life” for the people and communities that live near the proposed construction sites. “Information received will inform the review of environmental impacts for the proposed projects,” the release states. In August, a coalition of environmental, public interest and human rights groups said CBP officials ignored a letter sent to them in late July requesting an extension on the aforementioned public comment period on the proposed wall construction in the Rio Grande Valley. Laiken Jordahl, an organizer with the Arizona-based Center for Biological Diversity, one of the organizations that co-signed the letter along with more than 40 other organizations, told The Monitor in August that the July 23 letter to CBP officials asked for an extension of 60 days to allow for community members to be involved in the process and provide public comment regarding the proposed border wall projects. He said that letter was in response to an undated CBP correspondence the center received on about July 10. The CBP correspondence, which was addressed to legal counsel for the center and gave notice of the proposed projects in the Valley, asked for comments regarding the construction to be submitted within 30 days, despite the fact the letter was not dated. The agency said the public input will be accepted until Nov. 6, and can be submitted via email, at commentsenv@cbp.dhs.gov and should reference “FY18 RGV Border Construction Projects” in the subject line of the email. “Project updates and Spanish-language materials are available at the following web site: www.cbp.gov/about/environmental-cultural-stewardship/nepa-documents/docs-review,” the release states.